Broquet is a catalyst designed to bring benefits and value to your vehicle. The overall result is significant reductions in exhaust emissions and fuel consumption. Broquet is a catalyst in pellet that reacts with the fuel to improve the efficiency of the combustion process. 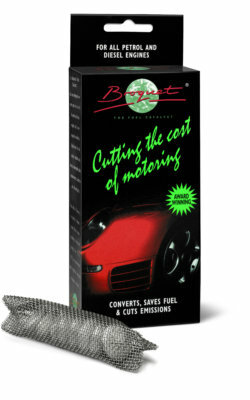 The Broquet fuel treatment catalyst is suitable and beneficial for all engines using petrol, diesel and oil. Stay up to date with the latest news about Broquet, test reports, mobility regulations and market developments.